YOU SHOULD NEVER HAVE LET HER IN. Best friends Megan and Chloe have finally found the perfect house. And when they meet Samantha, she seems like the perfect housemate. But Megan thinks there might be more to Samantha than meets the eye. Why is she so secretive? Where are her friends and family? And why is she desperate to get close to Chloe? 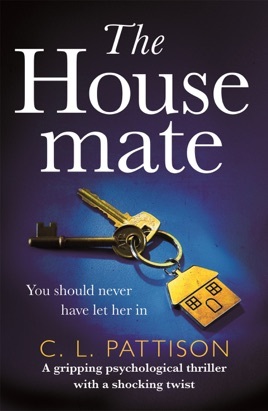 A gripping and twisting psychological thriller with an ending you'll never forget, THE HOUSEMATE is perfect for fans of Louise Jensen, Jane Corry, Shari Lapena and Lisa Jewell.